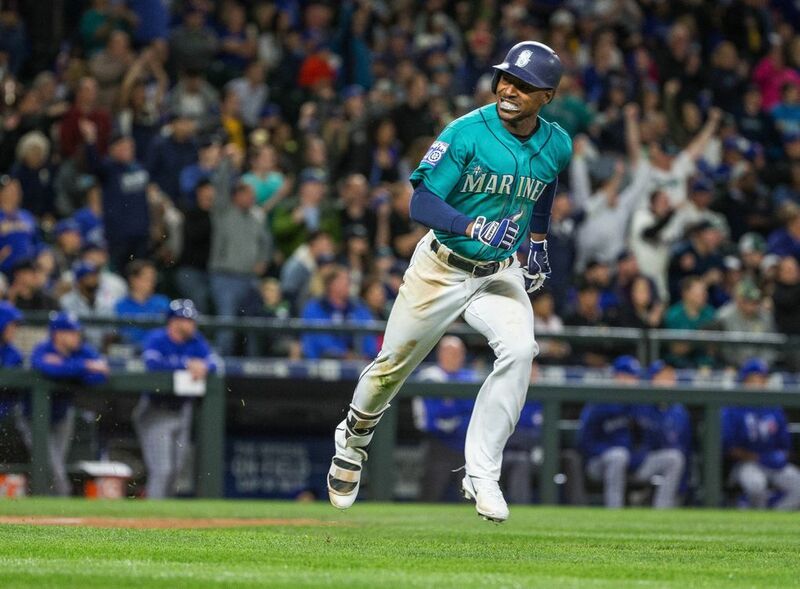 Seattle got two runs in the seventh, including a go-ahead single by Jarrod Dyson to earn a victory over the Blue Jays at Safeco Field. 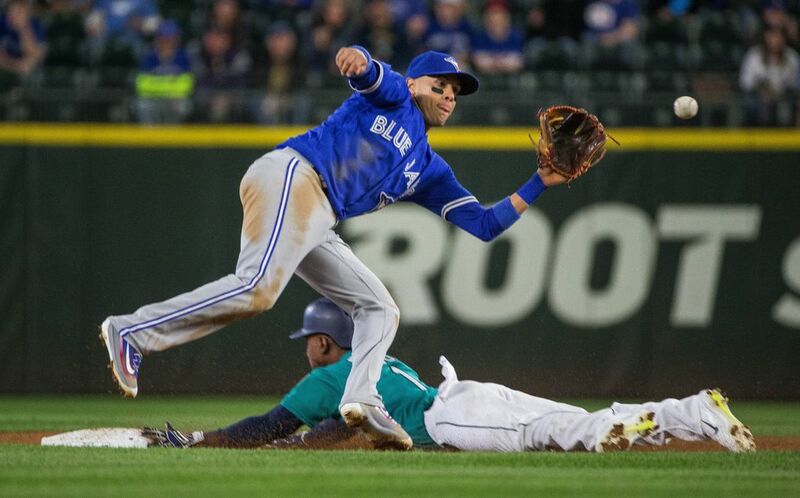 It might not have felt like home for much of the game with random and very loud chants of “Let’s Go Blue Jays!” ringing out from a crowd of 33,518, at least half of which were not cheering for the Mariners. But in the end, Safeco Field still belongs to the Mariners and it’s been an advantage this season. That continued on Friday night. 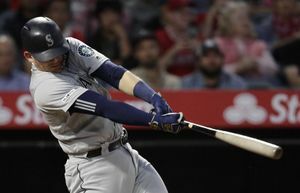 With a nearly-full stadium pulsing with energy, the Mariners gave their own vocal contingent in attendance plenty to cheer about, rallying for a 4-2 victory over the Blue Jays. Seattle improved to 20-11 at home this season and returned to .500 at 31-31. 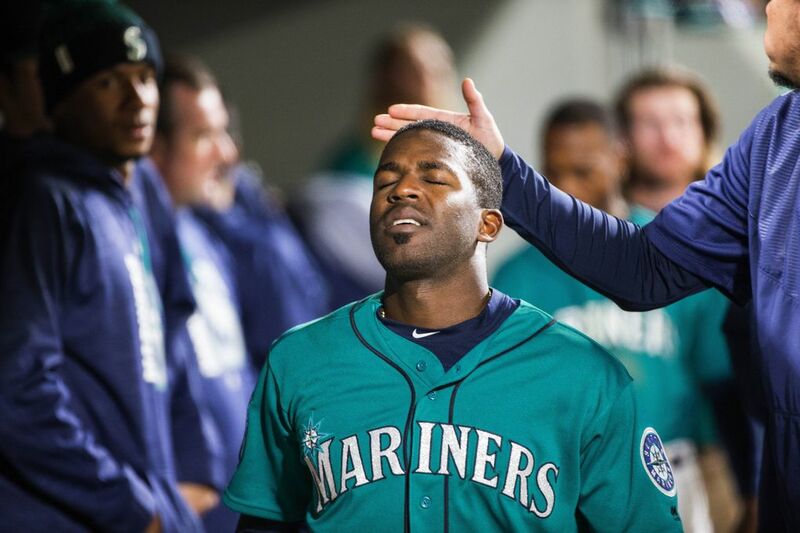 The Mariners have won 10 of their last 12 games. 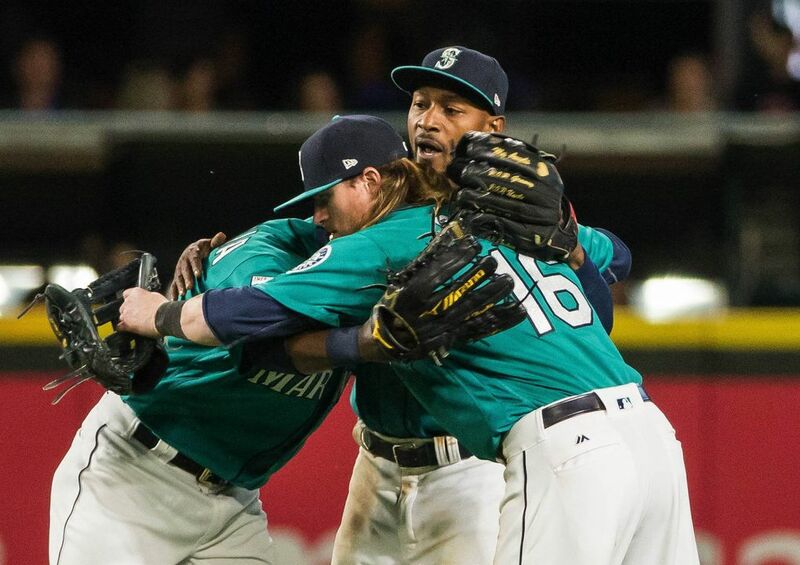 Down 2-1, the Mariners’ rally actually started in the top of the seventh on defense. With two outs and Kevin Pillar on first base, Josh Donaldson hit a line drive to the gap in left-center off reliever Tyler Cloyd. 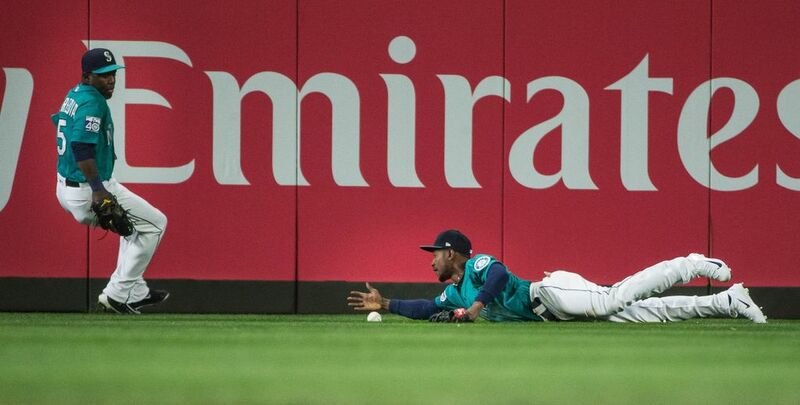 Dyson sprinted and dove for the ball, but couldn’t make the catch. Instead, he trapped the ball, preventing it from rolling by him. 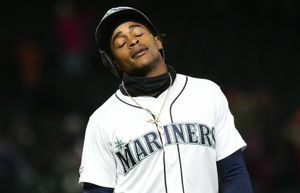 “I was able to keep the ball close to my body,” Dyson said. 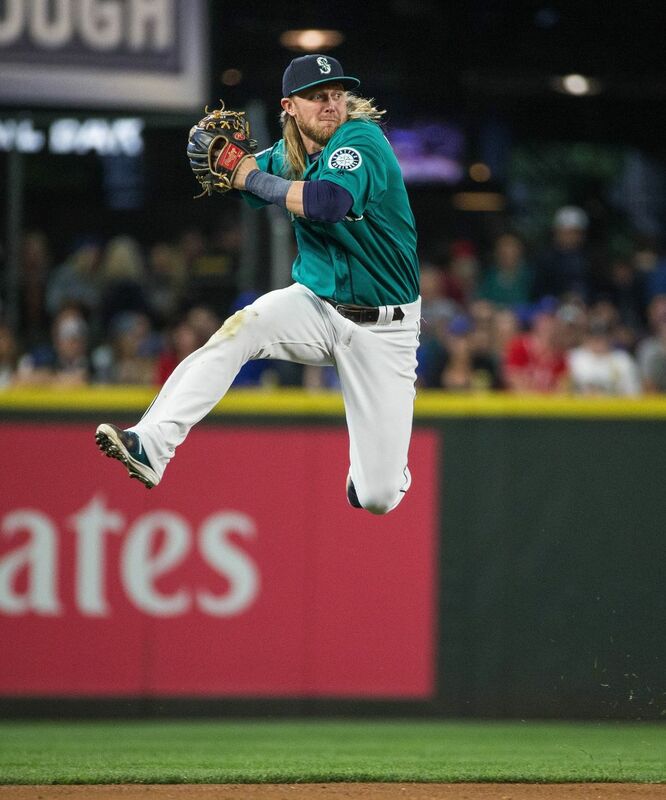 He quickly got to his knees and flipped the ball to shortstop Taylor Motter, who fired a brilliant laser of a relay throw to home on the fly to get Pillar by a few steps to end the inning. They needed momentum against Blue Jays starter Joe Biagini. The big right-hander had limited them to two runs over the first six innings with just two hits. Robinson Cano led off with a double off the center-field wall that missed being a homer by about six inches. With one out, Biagini pitched around Kyle Seager with first base open in hopes of getting an inning-ending double play. It never came. 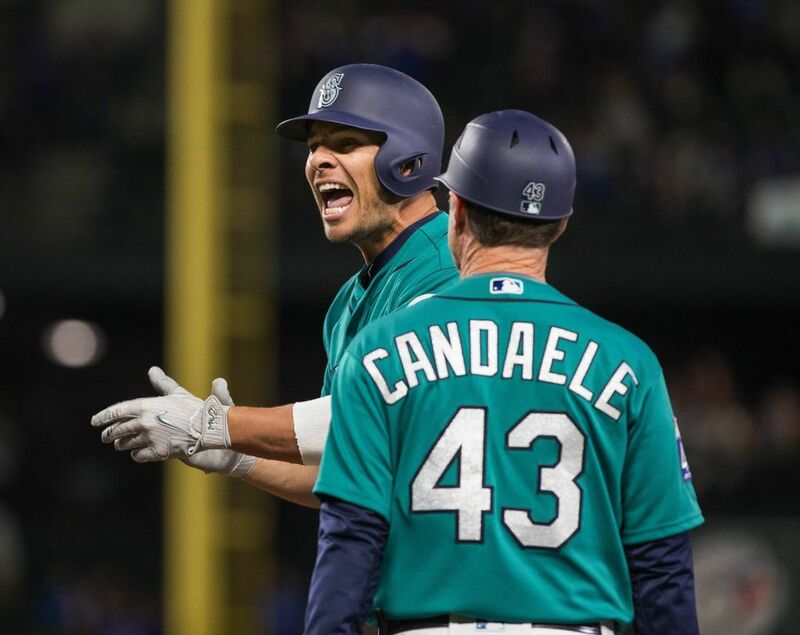 Danny Valencia singled through the left side to score Cano and tie the score. 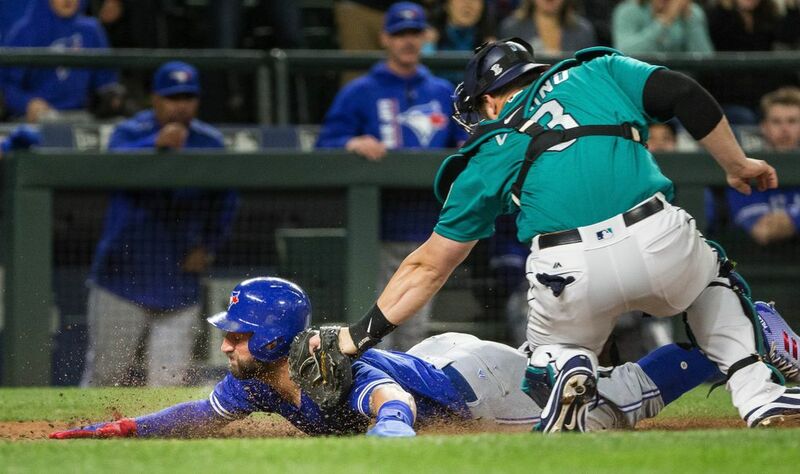 Seattle loaded the bases against Biagini, bringing the lefty-swinging Dyson to the plate. 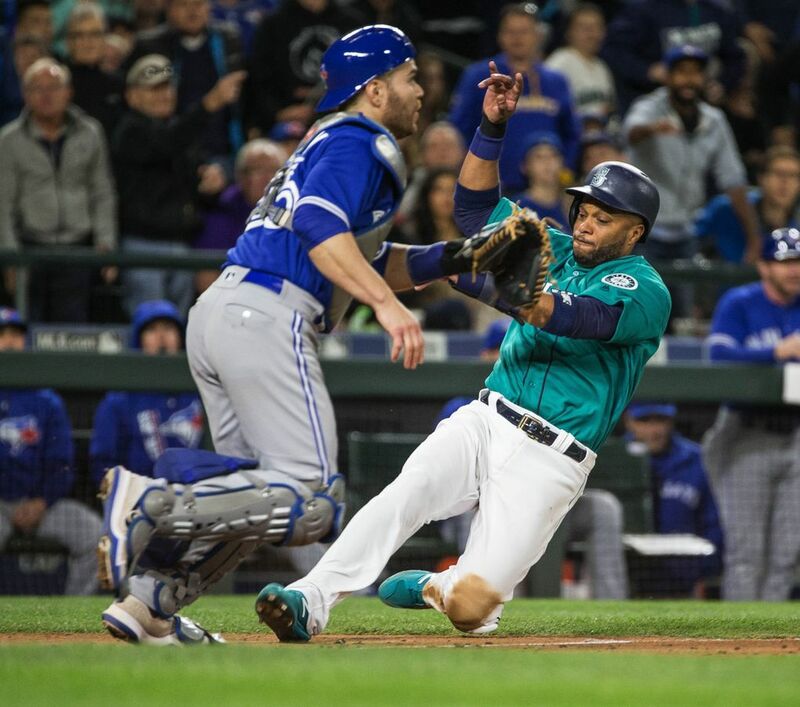 He was one of the few Mariners that had gotten a hit off Biagini earlier in the game. 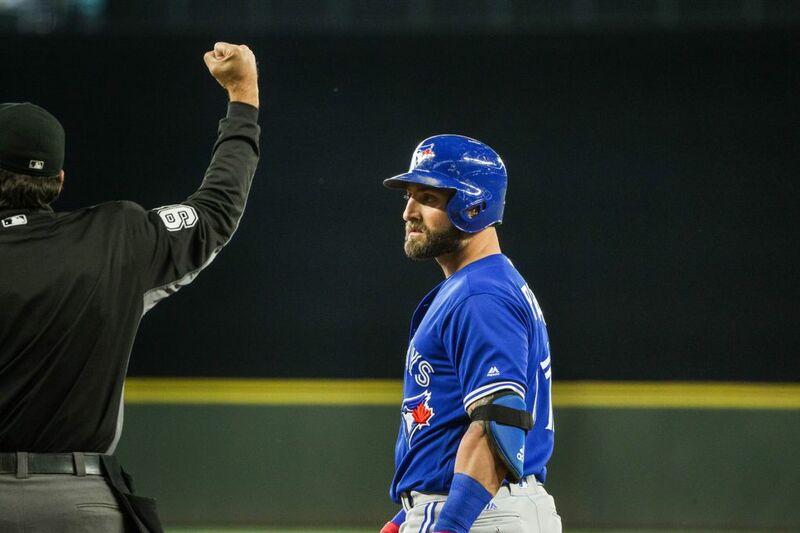 Blue Jays manager John Gibbons stayed with his starter despite having lefty specialist Aaron Loup up and throwing. 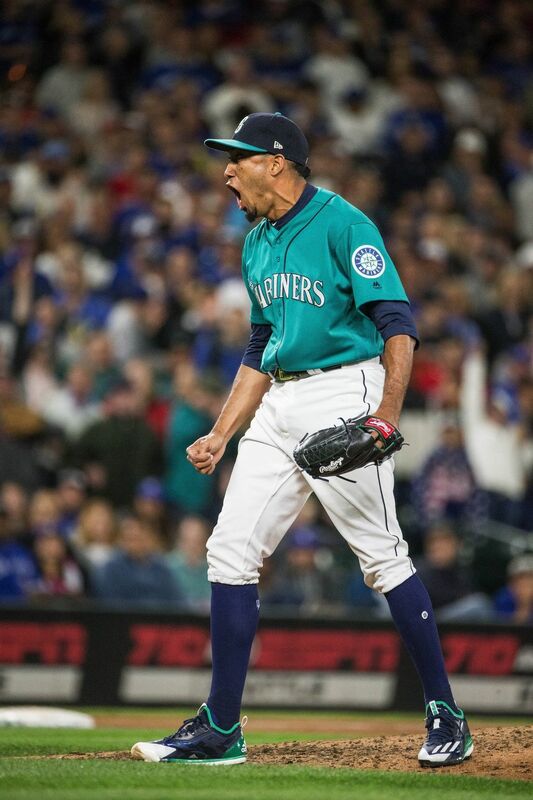 Dyson came through, dumping a single into center to score Seager to make it 3-2. 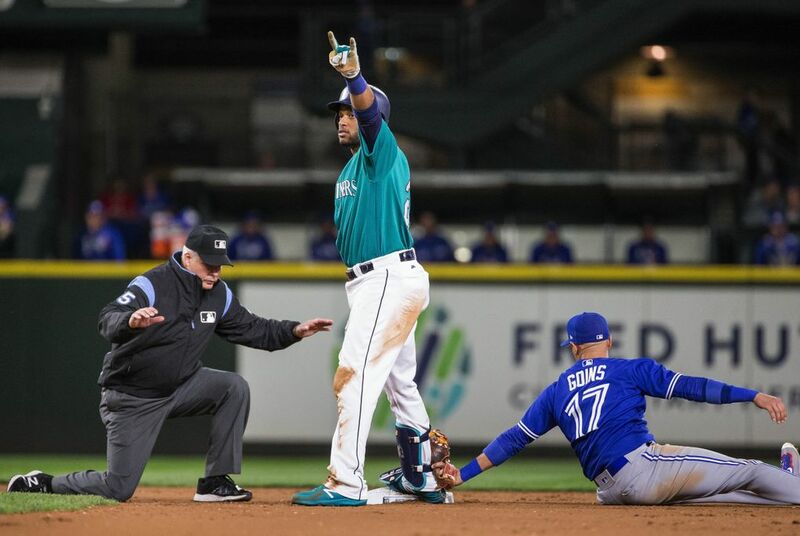 But Seattle’s insurance run was cut down at the plate as Pillar’s throw home was good enough to get a sliding Valencia, who ran through the stop sign at third. 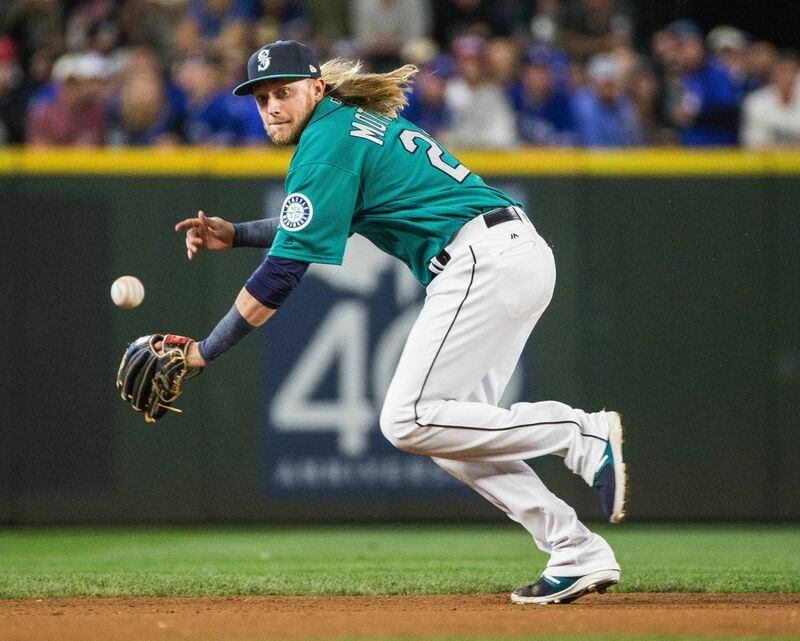 The Mariners got that much-coveted insurance run back in the bottom of the eighth. 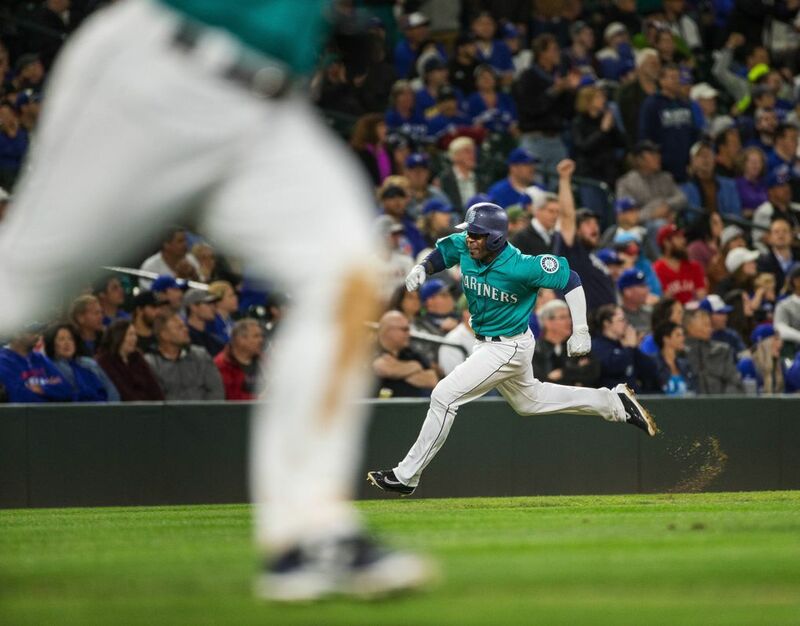 With two outs, Seager singled to left off Loup to score Guillermo Heredia to make it 4-2. 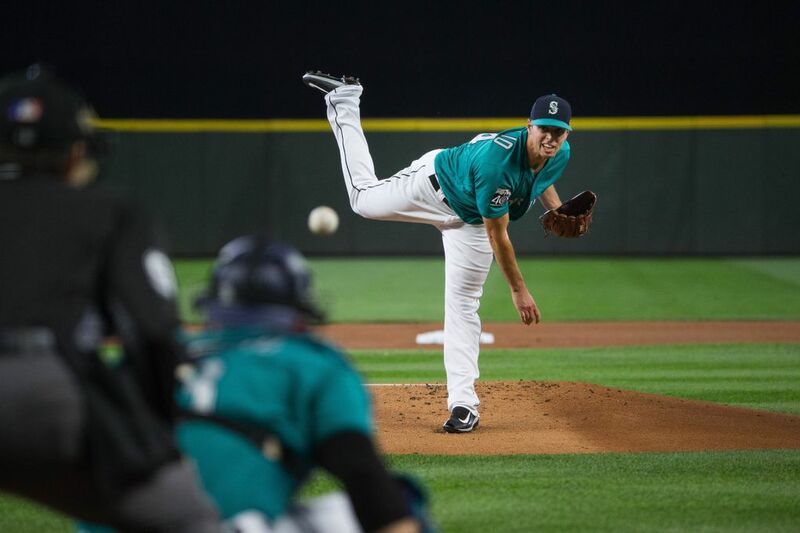 Seattle starter Sam Gaviglio worked six innings, giving up two runs on six hits with three walks and five strikeouts. 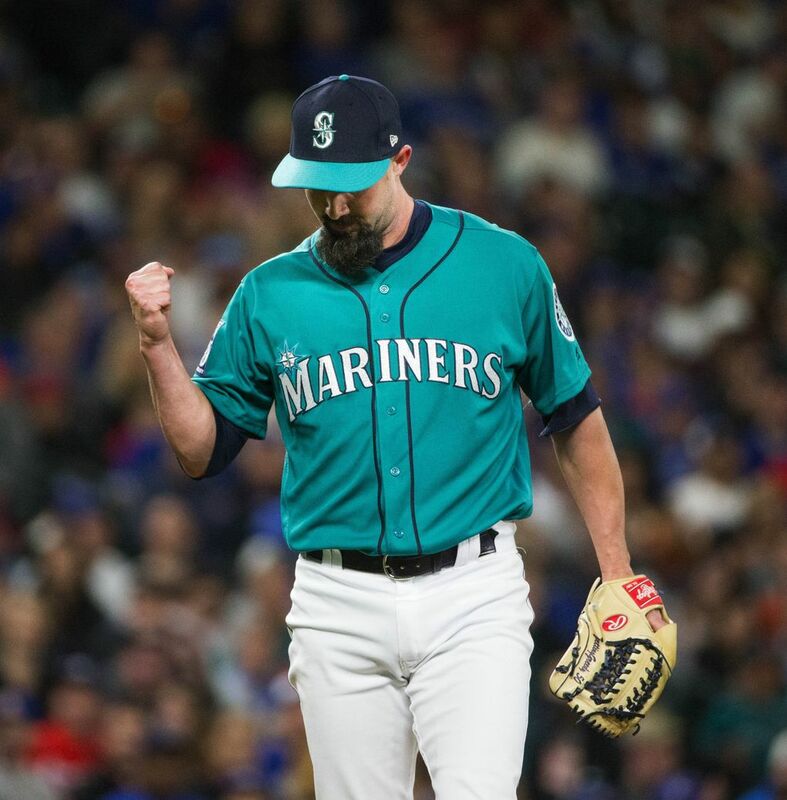 That he was able to match his career high in innings was impressive considering Gaviglio’s early command issues coupled with the meandering strike zone of plate umpire James Hoye. Gaviglio allowed a runner to reach in every inning, but was aided by a pair of double plays and some timely ground balls. 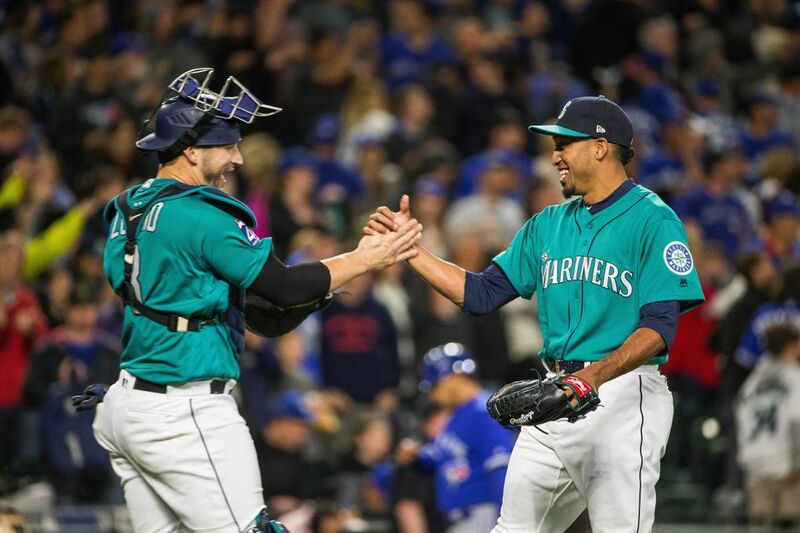 The Mariners’ bullpen continued its run of outstanding pitching. The trio of Cloyd, Nick Vincent and Edwin Diaz each worked scoreless frames to help secure the win. Diaz looked dominant in the ninth, working a 1-2-3 frame for his 10th save.